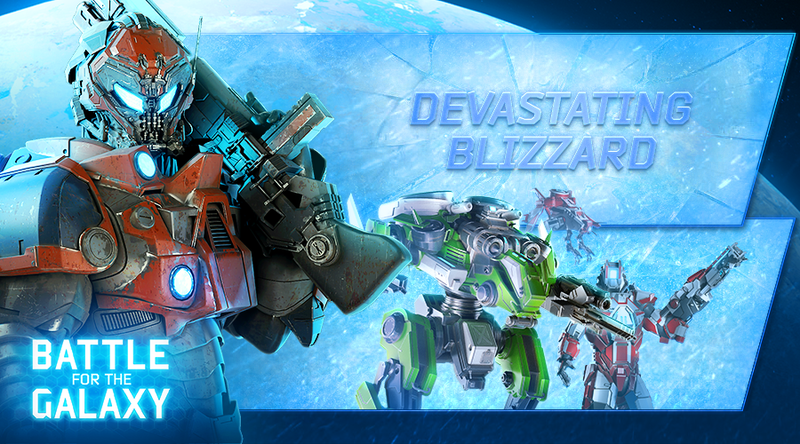 Commanders, Operation Devastating Blizzard has started! If you participated in the previous operation, then some of the points you scored were transferred to the Operation Devastating Blizzard making it easier for you to receive an extra Fate Hero! Don't miss your chance! Operation rules: * 10 building drones * 10x faster building * 48 hours for the Operation Good luck, commanders! May the strongest win! 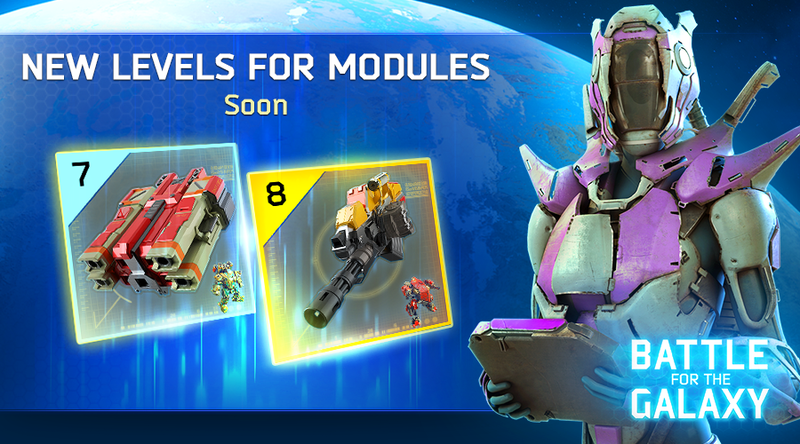 We are happy to let you know that legendary modules can now be upgraded to levels 7 and 8! This will boost your power and increase your victories accordingly! Good luck! Commanders, Operation Total Annihilation has started! 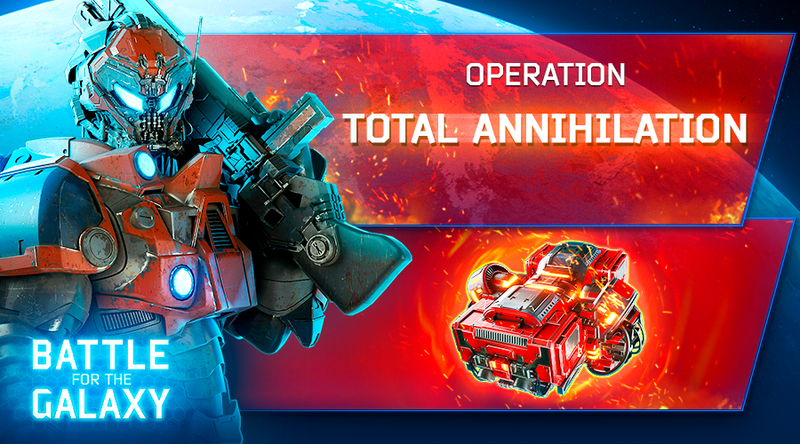 If you participated in the previous operation, then some of the points you scored were transferred into Total Annihilation, making it easier for you to get the Destruction Artifact. 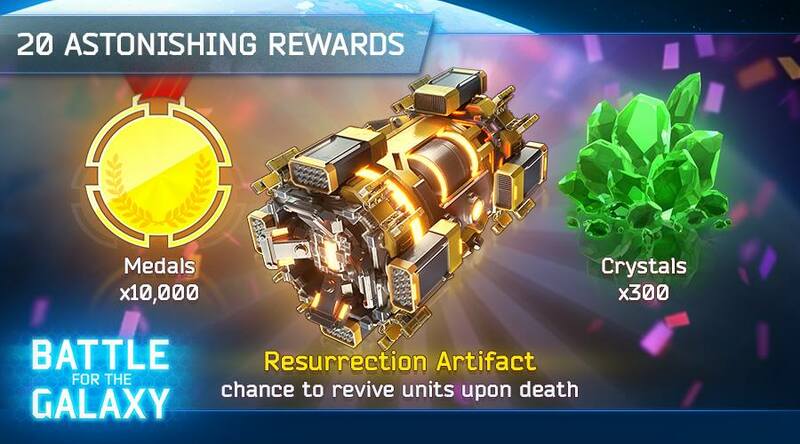 Operation rules: *10 building drones *10x faster building *48 hours for the Operation Good luck, commanders! May the strongest win! New Operation is about to launch! 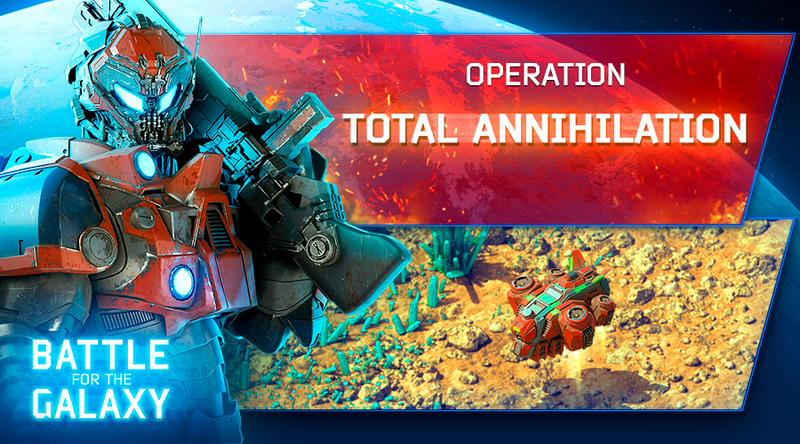 Commanders, the Operation Total Annihilation is taking place December 21-23. You will fight to win 20 prizes, and the strongest of you will be able to get a Destruction Artifact that gives a chance to deal critical damage. Unique and furious battles are ahead! Good luck, Commanders! May the best win! 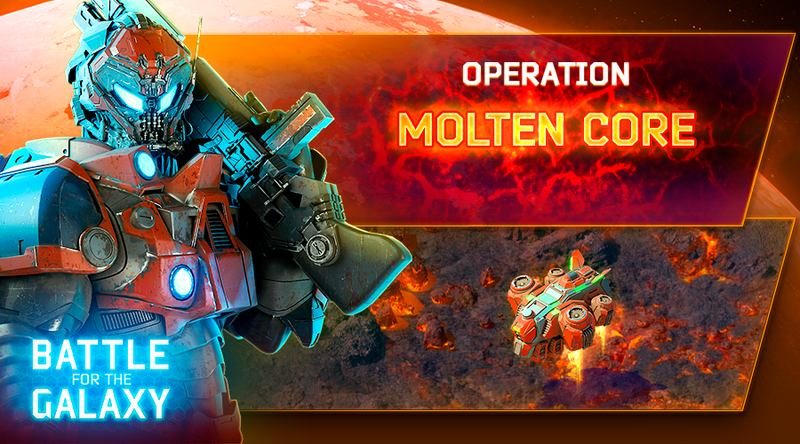 Commanders, Operation Molten Core is scheduled for December 14-16. You will fight to win 20 prizes, and the best of you will get a Rampage Artifact that gives a chance to deploy units with increased health and damage. Good luck, Commanders, and may the strongest win! Heroes are in the game! 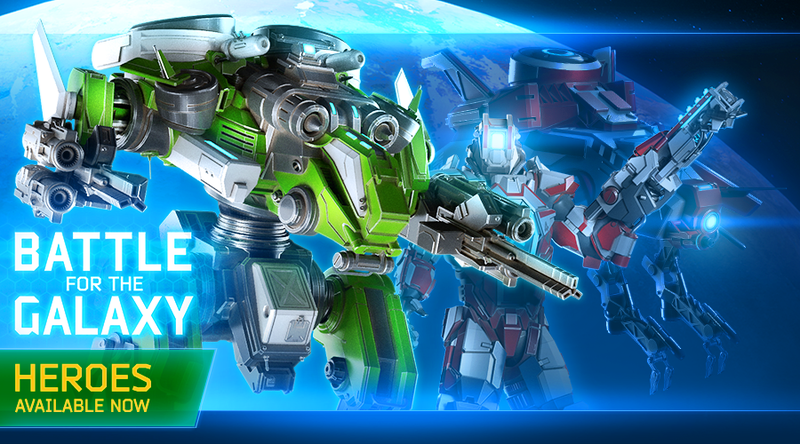 Commanders, it’s time to enhance your army with powerful Heroes! Please welcome: Hannibal - a forceful tank created specifically to draw off enemy fire and defend your troops. Aceso - supports the troops by restoring their health. Fate - is perfect for aggressive attacks and can deal critical damage to enemy bases. Every Hero has: * Ability * Equipment * Level * Rank Ranks can be upgraded with Hero Cards which are obtainable during Operations. It’s time to go from zero to hero! Into the battles for the Galaxy! 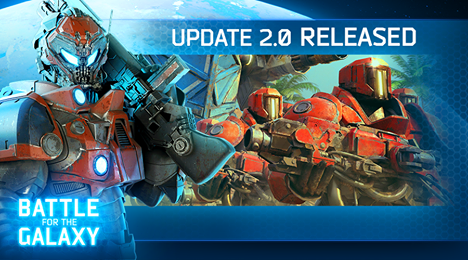 Battle for the Galaxy 2.0 is out!